This is the title that John the Baptist confers on his cousin Jesus at the beginning of his public ministry. Presumably, John knows his cousin well—so while the title is odd, surely it must point to something profound about the Lord. Indeed, as Jesus takes up the cross, we see how utterly he becomes like a lamb: Robbed of strength, completely at the mercy of the tormentors. It’s hard for us to find beauty in the Lamb’s weakness. Still, it’s there—because somehow, Jesus finds the strength to go on. He is not crippled by self-pity. He does not wallow in despair. And then in the end, Jesus stands naked before us…shivering and exposed, like a lamb shorn of its wool. He is nailed to the cross, becoming a case-study in powerlessness—an object of ridicule, much more than Someone we’d be moved to adore. Even so, our hearts are filled with wonder as Jesus is taken down from the cross, a lifeless Lamb cradled is his mother’s arms. Only now do we begin to understand: The sacrifice is complete. Jesus have given everything, absolutely everything, in order to restore the broken connection between heaven and earth. 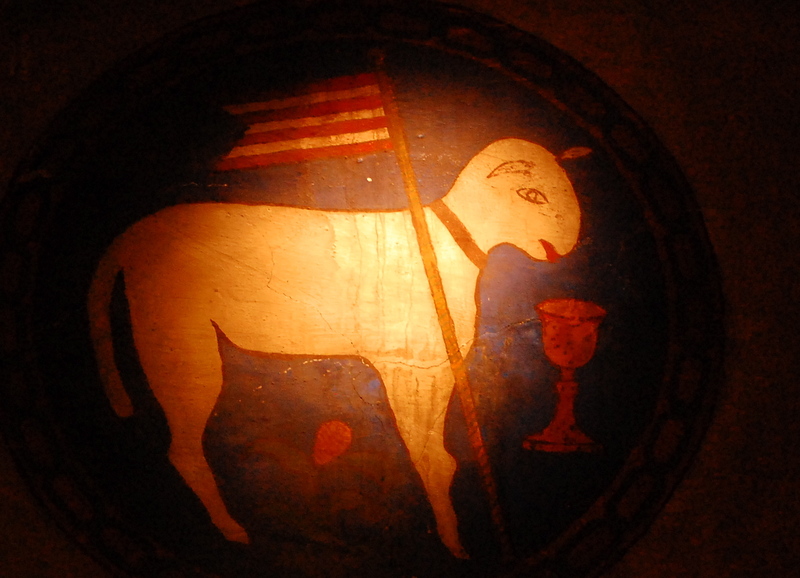 Yes, in the Lamb, we do in fact encounter a great mystery. There is little in Jesus’ outward appearance to make him appealing in the eyes of the world. Christ turns all our expectations upside down; and yet, somehow, finds a way to feed our deepest hungers, to fill the deepest longings of our souls. So let our minds and hearts be silent now…as we gaze upon the Lamb, in wonder. And gratitude. Amen. Thanks again for all you do. Your words are truly and inspiration…. Thanks, Tom — and Easter blessings to you and yours, as well!